Last Time On Ninja Stuff: The YA Cannibals went to a SCBWI conference on "Finding Common Ground In Diverse Characters" held in one of the least diverse places I've ever been: McCormick's Creek State Park in Spencer, Indiana. There I learned the first girl who ever broke my heart now, 16 years later, runs a popular blog where she interviews writers and literary agents like the one she just signed with; my agent. I talked about heartbreak and how there comes a time when, with perspective, it just doesn't hurt anymore. Don't worry, Esteemed Reader. This isn't to be another post about me crying all over myself on a picnic table in a fashion most un-ninja like, or me talking about how the secret of life is my baby boy:) I don't want to blog about none of that crap! 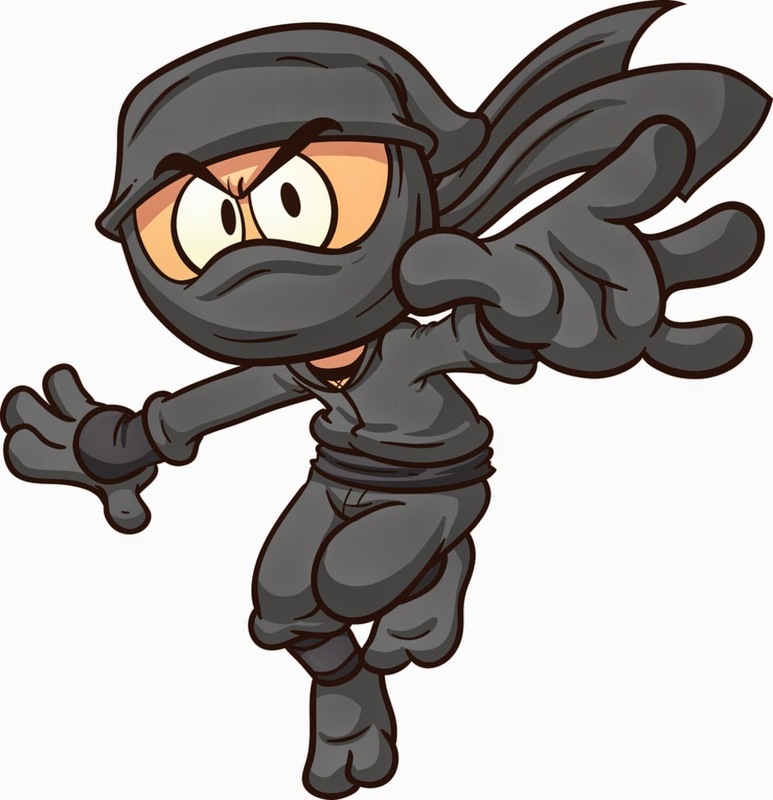 Today we're going to talk about writers, writing, publishers, and publishing, the proper subjects of a blog supposedly about reading and writing middle grade novels utilizing ninja stealth and skill. And we're going to discuss diversity in traditional publishing and some of the reasons there isn't more of it. But, if you'll permit me, I want to talk first briefly about some kook stuff. Reality gets fuzzy around the edges, Esteemed Reader. It's a problem. I could hold with the atheist view if life didn't get weird every so often. But it does and I'm not the only one who's noticed. It could be I get weird and every time a coincidence happens, I go off thinking the universe is trying to tell me something because it's all about me, baby. Could be. I submit to you that if I'm suddenly struck dead, all consciousness gone in an instant, and I believed kooky stuff right up until that moment, it's not going to bother me one bit as there will be no me to be bothered. But a whole lot of people feel the presence of Something in this world and I've felt It as well. Refusing to acknowledge that because of a belief it's not possible is as much of a dogma as actual dogma. I'm perfectly willing to say I don't know how the universe works, and it doesn't bother me since there's way more stuff I don't know than stuff I do. But dude, SOMETHING is up. I had such a wonderful time at the conference and before I say some negative things about traditional publishing, let me first thank SCBWI for holding such a fine event as I have no doubt it took a great deal of work. Let me also thank the writers and publishing professionals who traveled to Nowhere, Indiana, to participate. At no point in what follows do I want there to be any doubt that their efforts weren't appreciated. I hope Indiana conferences will continue to draw such excellent guests. I do so hate bitter indie authors and when I decided traditional publishing and I had to part ways for a time, I promised myself I wouldn't become one of them. But I understand. Traditional publishing broke many of our hearts. It didn't mean to. Traditional publishers aren't out to get anyone. They just do what they do, much of it in response to a global market that moves faster than their business model can adapt, and writers get hurt unintentionally. During a Q-and-A session the last day of the conference I stood up and asked a question—the question—I most wanted to ask at the perfect time to ask it. And if there was a betrayed quality to my voice, it's because undeniably a part of my question was "Why didn't you love me?" Let me back up and set the scene. Remember, as I've said, this was the whitest conference in one of the whitest towns in America gathered to discuss diversity in children's literature. The majority of the panelists were white and an even greater number of the participants were white. The whole thing felt a bit like satire. And it just so happens that of all the publishers in all the world, two of the representatives who came to Spencer, Indiana were from two of the publishers who came closest to publishing Banneker Bones and the Giant Robot Bees. Of all the girls in all the world who could've signed with my agent, it's the one who broke my heart that did and against all odds, the news came to me without my looking for it or even wanting to know it. Reality gets fuzzy around the edges. I didn't even want to go to this conference. Mrs. Ninja and I just bought a house and I didn't want to spend the money. All nine members of my critique group had to sign up and practically drag me there and even then, I still didn't want to go (I had to take off work and be away from my kid). I only went because my wife told me that she didn't care about the money, I needed to attend a conference about diversity in children's books. The universe aligned to get me in that auditorium for that panel and as Shrug Avery might sing, "Maybe God is trying to tell you something..."
I believe somebody was. You believe what you want. But there were strange winds blowing and whispering through the woods of McCormick's Creek State Park last weekend. In response to a previous question, one of the editors told us her house had to fight to accept a book about a transgender character written by a heterosexual white male. Many of the folks involved in the publication approval process wanted to know why this author would write such a thing when he himself was not transgender. They were suspicious of his motives. Many of the senior editors didn't want to publish the book, regardless of the man's reasoning (most of his friends and a family member were transgender), and it's still not published, so the fight goes on. And a part of me, the cold part, understands this is a simple risk vs. reward business decision. Doesn't make it right. "Who has another question?" the moderator asked. "I have a literary agent who passionately submitted this book to many publishing houses—" (your publishing houses) "—where individual editors told us yes and then editorial committees said no. We came so close and it got back to me that the reason it was turned down is because I'm white. And you say you're having difficulty publishing a transgender-themed book for the same reason. I take umbridge at the notion that I can raise a half-black boy, but I can't publish a book about one. "Speaking for a room of mostly white faces in our conference about diversity—" a lot of nervous laughter from everyone save for the lone black woman beside me (not my wife, but a fellow zombie author) who gave me an "Amen," "—what can we white people do to overcome this obstacle?" It was an unfortunate position these editors found themselves in and I want to be clear: they were and are not my enemies. I've got nothing against them and though they represented the publishing houses what done me wrong, so far as I know, they had nothing to do with the decision personally. I wouldn't have wanted to sit in their seat and answer my question or the one asked immediately after mine. These are smart people who love authors and publishing books and we can absolutely be friends. I was asking about an issue in publishing far bigger than any one publishing house and certainly any one editor. But they were there to represent the institution from which I wanted an answer. "It's an unfortunate scenario," said one editor, and I'm paraphrasing from memory here, "but it is common. I'd hate to think that was the only reason your book was rejected, but..." the editor trailed off and shrugged, implying it might be. "It could be something else about the project, but the author's race is an issue and one that in the current market can be impossible to overcome." The other editor agreed. There was a lot of talk about finding a small press or perhaps the writing of something different first, the implication being something with an all or mostly white cast, with maybe a more colorful friend in a minor role. 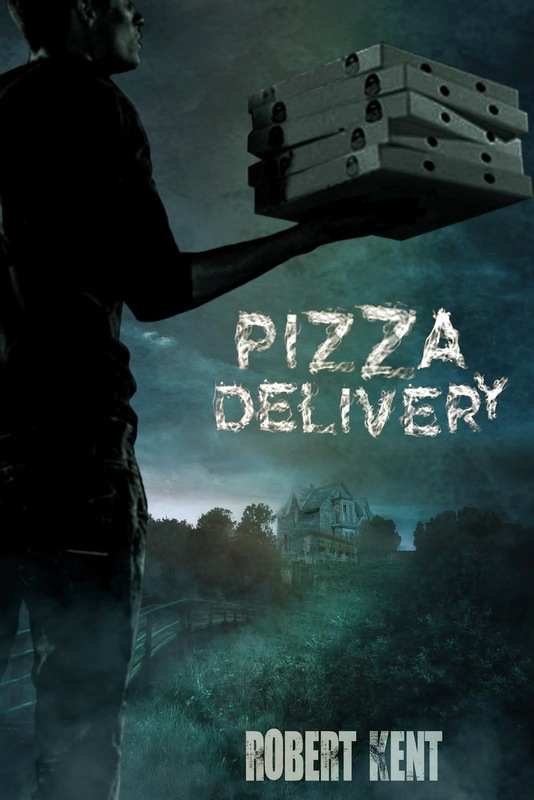 Ya know, the sort of book that gets published. Remember, these were editors who came all the way to Spencer, Indiana, to talk with us and I don't want to paint them as villains because they most certainly were and are not. To my mind they're heroes because when asked an extremely difficult question, they gave honest answers, and what more could I possibly ask from them? But there was a different feel to the room after that. A crowd of almost all white writers heard a very specific message: it's all good and well to talk about diversity, but if you want to be published in the traditional way, don't write about it. Fortunately, Skila Brown, whose debut novel, Caminar, has rocked my world, lightened the mood when she told me I should keep working and keep fighting to reach readers. After all, she's a white woman married to a Latino man and raising biracial children herself and she was able to use the traditional route to publish a novel set in 1981 Guatemala. 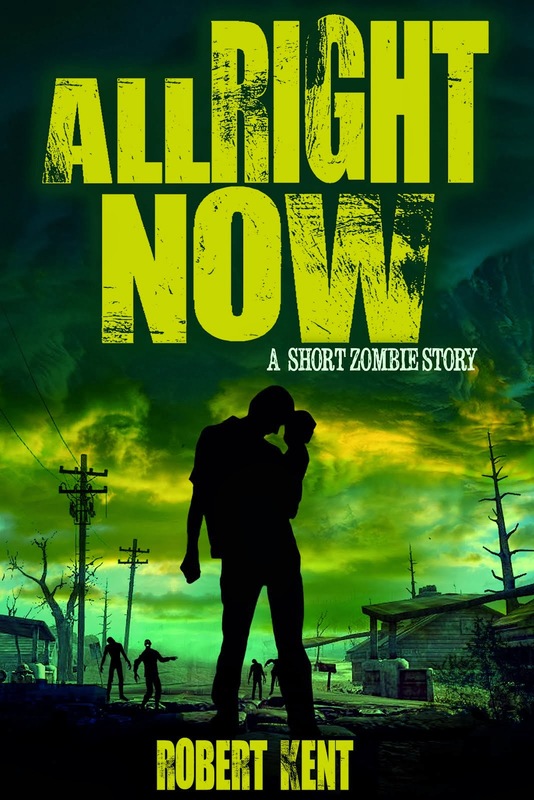 On the whole, I was so very impressed by Skila Brown and I hope to feature her here. After her keynote, I gave her a copy of Banneker Bones and the Giant Robot Bees so that she would know I never even considered not fighting. "There's time for one more question," a much wearier-looking moderator said. And look at that, just behind me, Indiana celebrity author Mike Mullin had his hand raised. Mike is an award-winner and friend to librarians everywhere. He participated in some of the conference events and was practically faculty. There were other hands raised, but if there was a safe person to call on after the previous question, surely it was Mike Mullin. I've been accused of being too nice to Mike over the years. I would say I'm too nice to everyone as I try never to criticize books on this blog even if they deserve it. You may have read my glowing reviews of Sunrise and Ashen Winter, but you didn't read my critiques of their early drafts full of complaints and tough love. Mike Mullin is an impressive writer and better than me at a lot of things, which is why I think it's a good idea to listen when he talks, but I've also heard him say some pretty dumb stuff (and vice versa). We've had squabbles and disagreements and he never seems to let me forget how bad my unpublished book about aliens was or how I should've listened to him about the original cover for All Together Now in the first place. But Esteemed Reader, I wish you could've been there on Sunday to see my friend Mike Mullin address that panel. I wish there was a YouTube video of it to go viral. In a few words, Mike earned every nice thing I ever said about him and more. I wish I could remember his exact wording, but I can't, so I'll have to settle for giving you a summary of the content of his question. Just imagine the most courageous man you ever saw. Mike asked about the practice of traditional publishers using unpaid interns, which seems like a small thing unrelated to diversity. But statistically, the only folks who can afford to work for publishers unpaid are mostly white and of the upper-class. With publishers slashing budgets and having to rely more and more on these unpaid interns, doesn't this create an issue of an overwhelmingly similar well-to-do white staff that is then in a position to be promoted up the ranks? Isn't it dangerous to have only a certain group of elites able to make decisions for the rest of us and doesn't that make a lack of diversity in traditional publishing an institutional problem? There was a lot of hemming and hawing among the panel, but the man had a point. Both editors agreed that this was an economic reality of today's publishing market. Sure, one of the editors insisted their interns were paid, but didn't say how much, nor brag about their diversity. The other insisted their interns, though unpaid, only worked 20 hours a week. They're mostly white though, the editor agreed, and I got the sense a part of the editor (avoiding pronouns) wanted to be standing with us calling out this issue rather than stuck at the front of a crowd defending institutions with systemic problems larger than any one person. The Q-and-A quickly ended after that. But let us end on a more positive note than Mr. Fitzgerald's. Our mostly white conference on diversity was more successful than I would've ever imagined. After all, the first step towards any solution is admitting you have a problem. 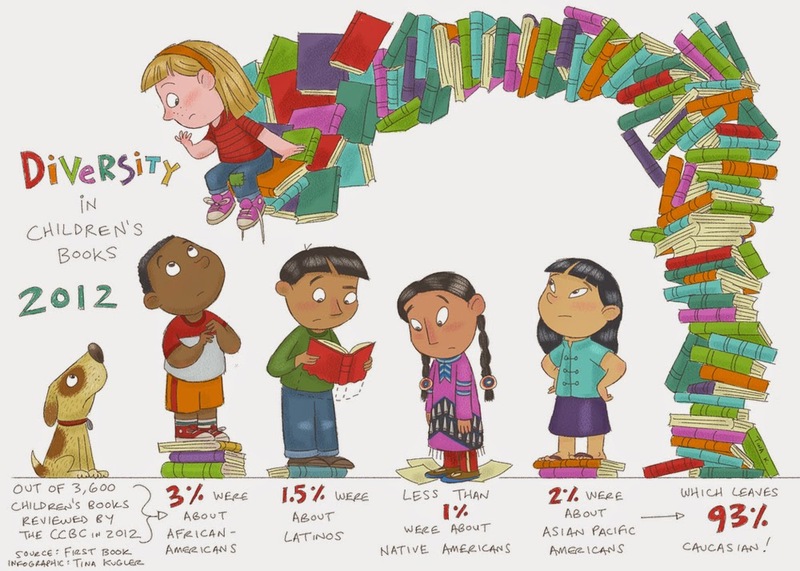 We need diverse books. And it's going to take a hell of a lot more than a hashtag to get them. As for me, I left the conference feeling elated. I knew from reputable sources that Banneker was rejected for the reasons above, but a part of me might have always wondered if I hadn't heard it straight from the mouths of the publishers themselves. 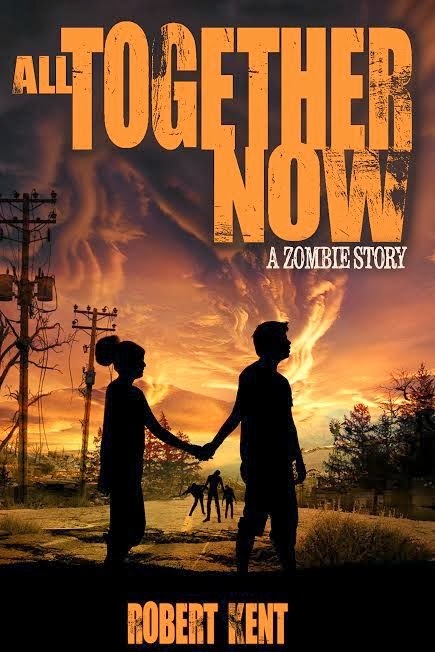 These same publishing representatives told my fellow writer that the zombie market is over saturated, so she should set her zombie books aside and write something else. Well, maybe. 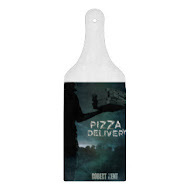 But I leaned over and let her know I'd paid for my hotel room with money I made selling books about zombies. You broke my heart traditional publishing. I needed you to be better than you are. It's okay. I've had my heart broken before and I know what to do. I learn from the experience and move on. 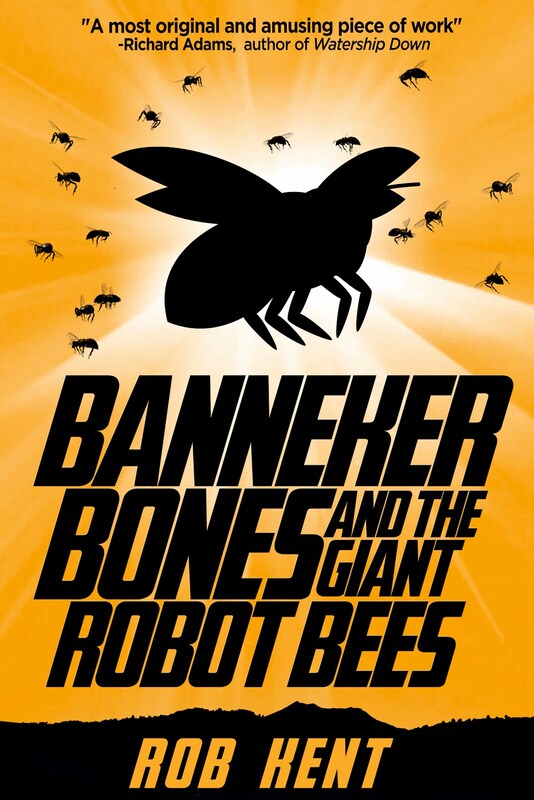 I came home to find audiobook chapters of Banneker Bones and the Giant Robot Bees ready to be approved and soon people around the world will be able to listen to them. Before long, there will be a second Banneker book and it too will be available to every reader in the world who wants it. I will not be stopped. I will not be thwarted. 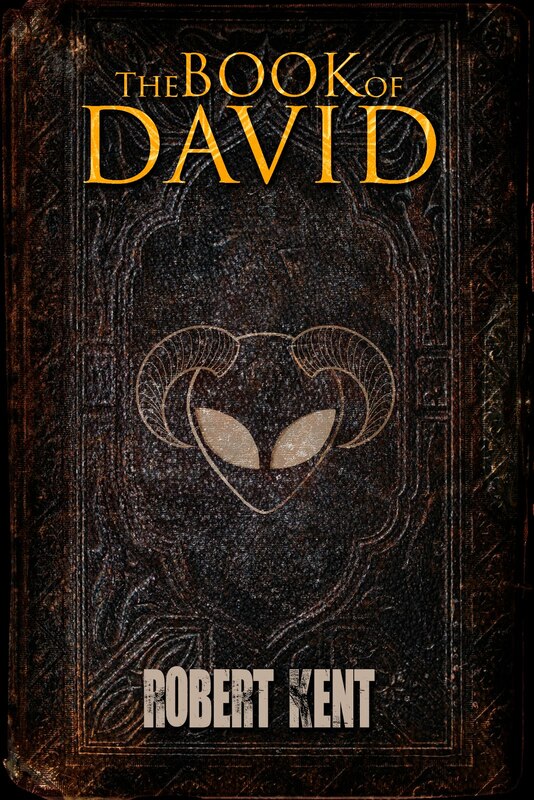 I will write books about characters of whatever race I see fit and they can be read by anyone who wants them. If traditional publishers won't give us the diverse books we need, if they can't, then we'll have to get them from some other source. Don't tell me the indie revolution isn't real. Don't tell me it isn't necessary. We've never needed it more. Wh-wh-wh-what the heck??? Is this true??? My head just exploded, and not in a good way. It's all true, unfortunately. In fact, I sent this post around to other conference attendees ahead of time to verify I hadn't mis-remembered anything. It was just one conference and these are the answers of this one particular panel. There are publishers like Lee and Low Books focusing exclusively on diverse stories. We need more of them. Thanks for this post and thanks for the questions you and Mike asked. 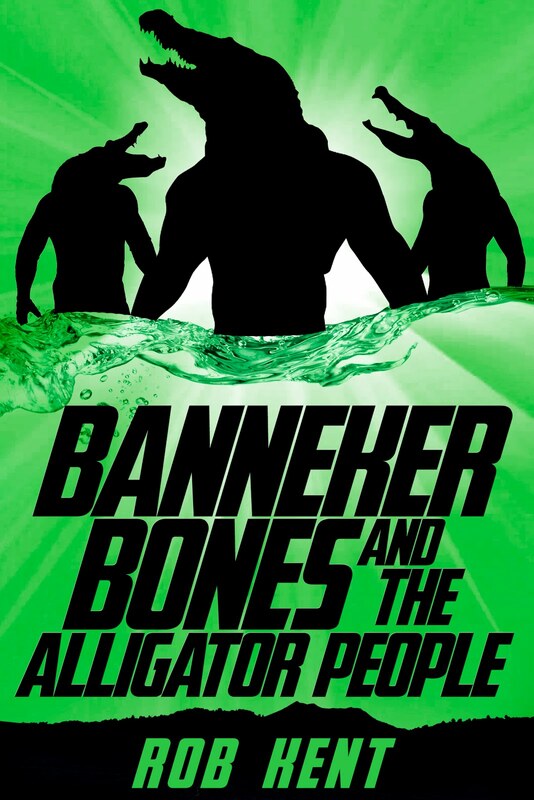 I'll be linking to it when I feature Banneker Bones on my blog next week. I just found this post while perusing your website and all I can say is BRAVO! You have got guts, and I will be buying a copy of Banneker Bones immediately.